job. Without pins holding our fabrics in place, we’d have a terrible time creating our lovely projects. need to consider the pin’s anatomy and the project you’re working on. Head should be picked based on the sewing task. for handwork and pinning appliqué pieces. pin with a flat head for eyelet, lace, lofty and loose woven fabrics. Quilting: Longer pin for holding thick layers. Shaft diameter should not leave large holes in your fabrics. Shaft length should provide ease of handing for your project. 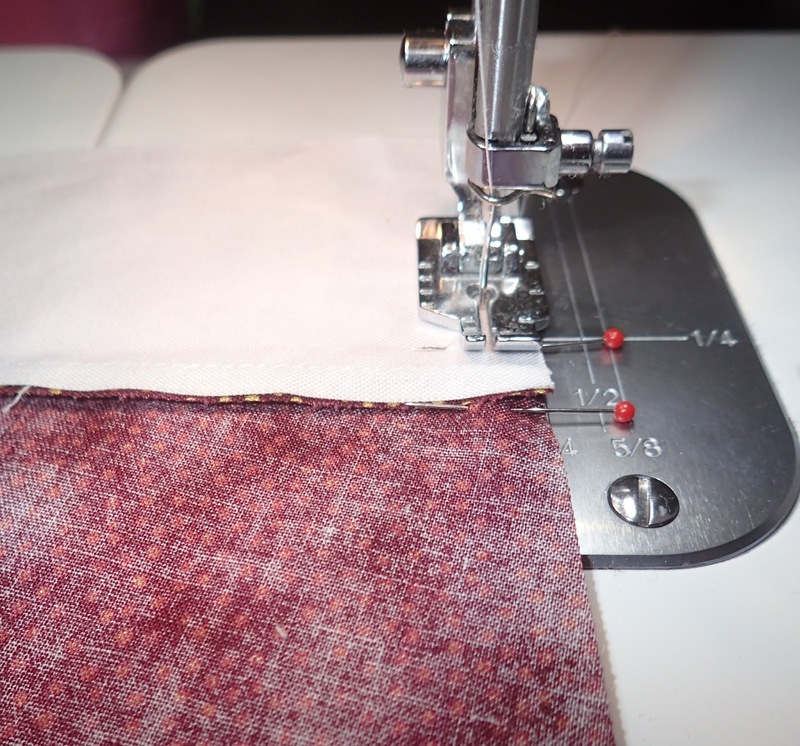 Point should glide easily through the fabric without snagging the threads. Sharp for most woven fabrics. Ball Point is slightly rounded for knits. trigger a debate much like “to wash or not to wash” fabric. 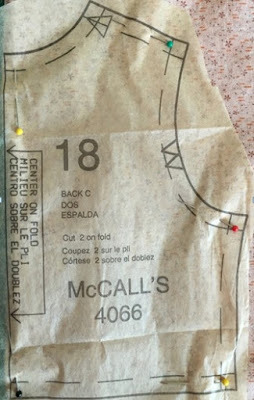 In class, I teach pinning parallel in the seam allowance when cutting a pattern. 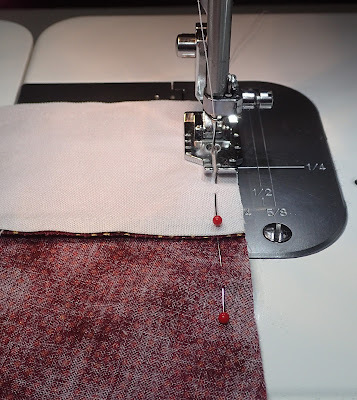 be placed right where it’s needed, you can sew right up to the pin before removing it, pins are easy to see and pull out, and if you accidentally miss a pin chances are it will clear the machine needle. of a chance that the seams will shift before being sewn. Pinning perpendicular for hand sewing allows the fabric to gather nicely in your hand. 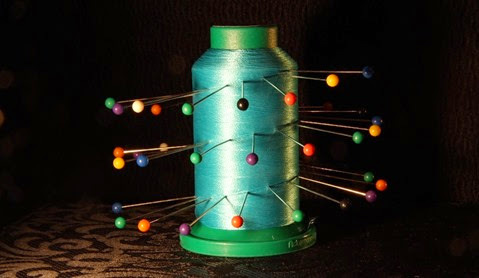 The pins fall gently into the folds of the fabric with less chance of stabbing you. Always toss out dull or bent pins. Don’t leave a pin in the fabric for long periods of time. This will create permanent holes. Until we meet again, I’ll leave you with a bit of fun. I think you’ll be amazed at how graphic designer Christophe Thockler used his pins and thread for this VIDEO! This entry was posted in Helpful Tips, Helpful Tools, Notions, Techniques. Bookmark the permalink. I recently purchased some pins for my project and the heads keep falling off the pin , i wrote the company and i was shocked to never even get a email saying sorry from the company . out of 400 pins im saying the least to loose their heads was 75 maybe even more i have a few i have not used yet . how would you handle this if a product that you paid good money for was very flawed ? pyrm i thought was a great product ! For starters, I would do what you did – write, to give them a chance to make recompense. I believe in making your voice heard whenever any product falls short. When they don’t respond, see if they have a website, where you can “review” a specific product. It isn’t the price that you paid, as much as the principle in trusting a company’s reputation for a quality product. If you still want to, you can try to call them & let them know you’ll be telling everyone you know – friends, quilting groups/ membership websites, etc. 75 lost heads on pins is more than an aggravation – quality control is certainly lacking. How are they going to know that quality is important if no one says anything? At the end of the day, you could try gluing them back on with super-glue or separate them out for use in DIY projects. I was quilting with my mother last weekend and the pins she purchased all had dull points. I told her to toss them and buy new ones. They were miserable to work with and it was totally worth it to spend a few dollars on sharp pins. 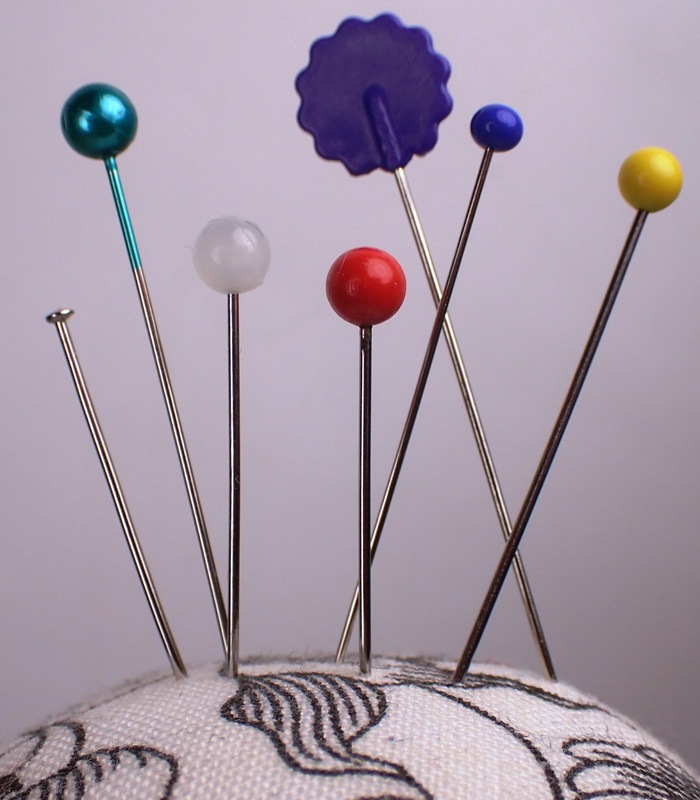 I love collecting pins…….and pin cushions. energy resource and and also other initiatives, free us from the very high usage of coal and oil. be build close enough to the sea with efficient enough technology.